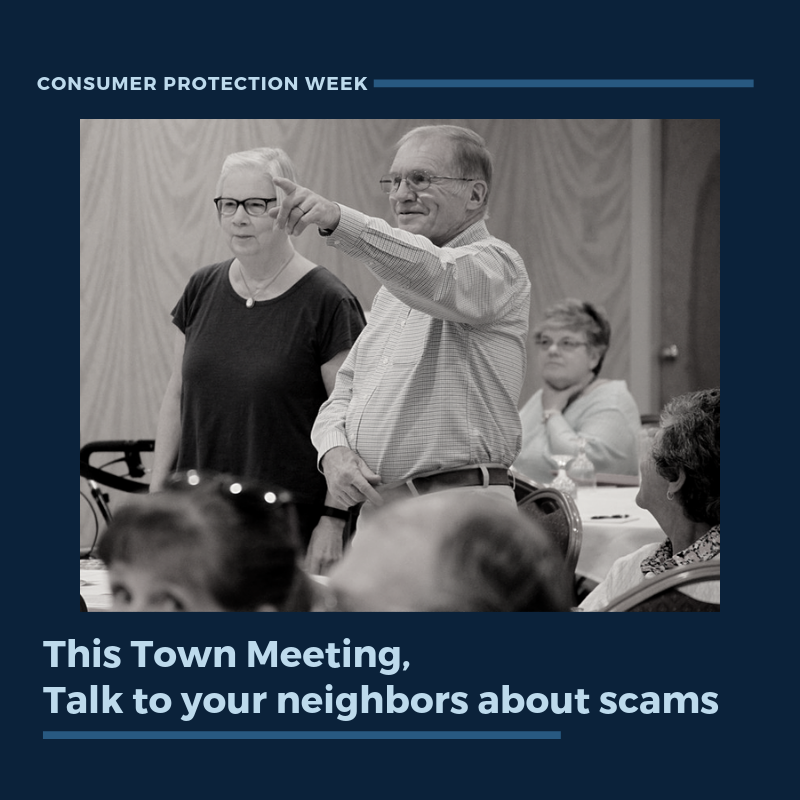 When you gather for Town Meeting day to tackle issues in your community, take a moment to spread the message about scams. By having a conversation with our neighbors, together we can work to stop scams. Earlier this year, we released the top scams reported to our office in 2018. This information is still up on our blog, which you can review here. Knowing the common scam categories can be useful in identifying scams, but this shouldn’t be the only information you share. Scams come in all different forms and adapt over time. During National Consumer Protection Week, you can commit to being scam savvy and sharing what you know with others. Unsolicited Communications: If you didn’t ask for a contact, question why you are receiving it, even if you get something in the mail. Verify the info shared against information you know and trust. Classic unsolicited communications are computer tech support pop ups messages and phone calls. Demands for Urgent Response: Scammers will demand a fast response from you to take advantage of the fact that you are busy. Anytime an immediate response is requested, slow down and take your time. It is in the urgency of the moment that people respond to scams. Imagine how a busy restaurant might respond to a sudden claim of electricity disconnection during the busy lunch hour. The scam recipient may be more likely to respond for fear of losing lunch profits. Requests for Personal Information: Shut down requests for such information by contacting a source you know and trust instead. For a bank account, the phone numbers referenced in your statement may be a good resource; for a credit card the number on the back of your card is a good option. Never respond to requests to reset your password by clicking on link in your email. Never provide your information in response to unsolicited communications. 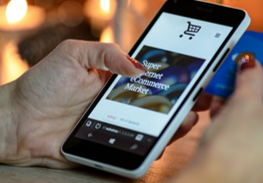 Requests for Payment: Scammers have success in requiring odd forms of payment that are difficult to be tracked down, like gift cards, wire transfers, and peer to peer transaction services. How to Spot: You are asked to pay outside of a vendor store/website by reading off the numbers on the back of the card or by taking a picture of the back of the card and sending it. 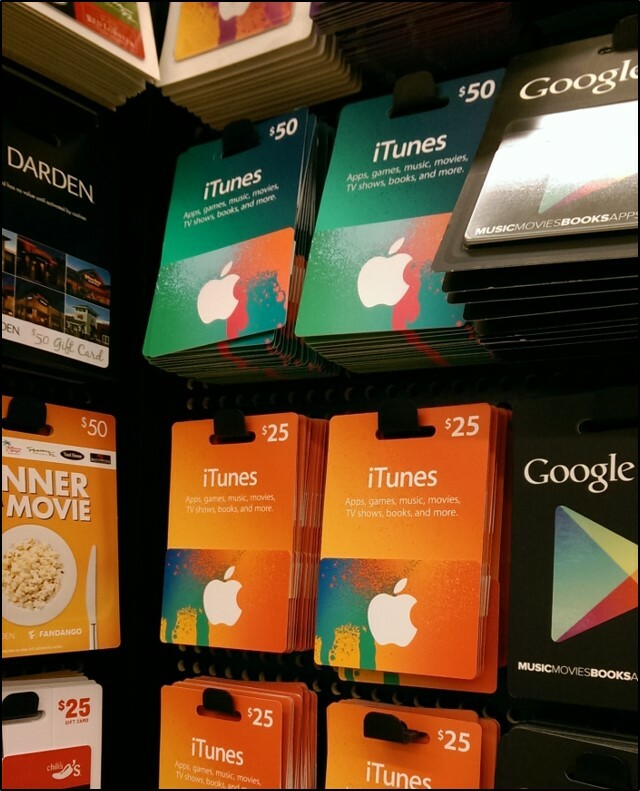 Remember: Unless you are using the card for the actual relevant company, do not pay with gift cards! Watch out for copycat websites too! How to Spot: You are asked to pay by wire transfer. Remember: Sending a wire transfer is like sending cash! Never send a wire transfer to someone you don’t know! How to Spot: You are asked to pay using a P2P service. You may even already use this service to make other payments. Remember: Sending through P2P is typically instantaneous, leaving little room to make fraud disputes. Never use a P2P to send money to someone you don’t know! Scammers want your money. They’ll adapt these methods, or resort to old methods of payment, like cash, check or money order. If you think you’ve encountered a scam, but aren’t sure, call our office at 800-649-2424. Find out more from the FTC. By sharing this information and your general awareness about scams with others, you can help stop scams! To become more informed, you can sign up for Scam Alerts on our website, connect with our office on social media, and invite others to follow us. Always hang up on scammers. For even more information about scams, visit our website. This entry was posted in Consumer, National Consumer Protection Week, Scams and tagged #NCPW2019, Consumer, Scams by Crystal Baldwin. Bookmark the permalink.